Lily will seduce you and make you want her all for around $500! Post updated January 2018: Alas, the Lily camera drone is no more although there are some very close alternatives on Amazon (see link above). The company and drone never took off (ahem) despite raising $34m in pre-sales. All orders have been cancelled and reimbursed. Just when you thought UAV's, RPV's, quadcopters etc had reached their peak! Now some clever boffin creates something truly useful, easy to fly and of course, a lot of fun to use. This is quite revolutionary in the world of drones and UAV's and I am sure the whole thing will be a huge success. 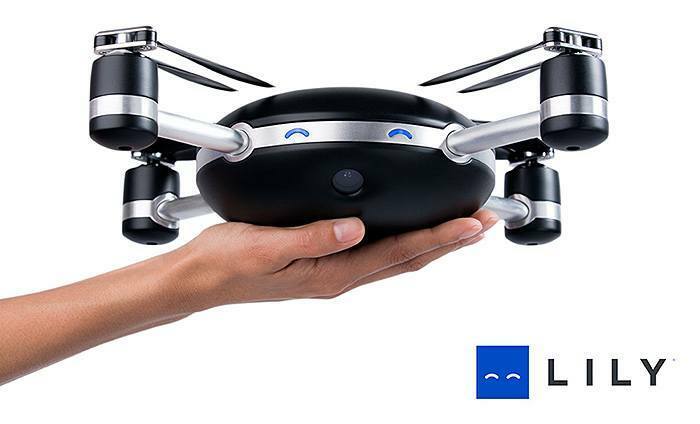 The company have already raised $34 million in backers so look out for the Lily Drone in shops in the not too distant future. More info on Lily Aerial Drone and Camera which is shipping in February 2016 but available to pre-order now. Please share below and comments are always welcome! Conclusion: How sad that Lily never came to light and showed us her wonderful, talented curves. If you want to know what happened, you can read more about this over at Recode.net.